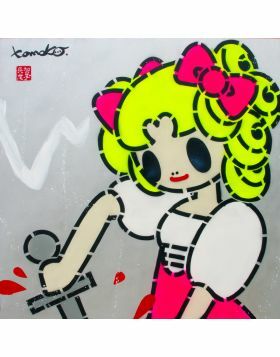 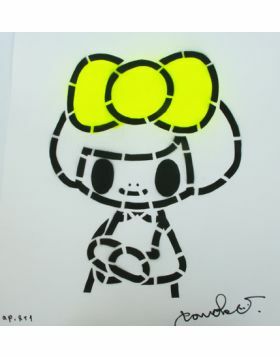 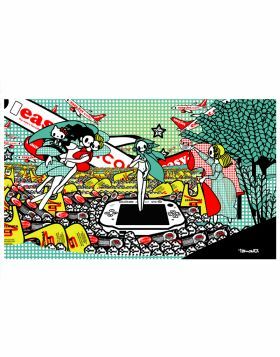 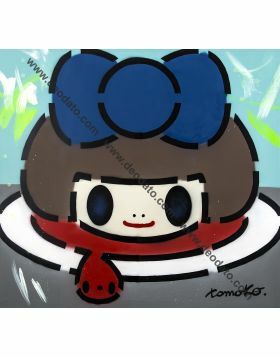 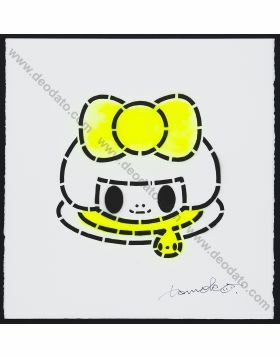 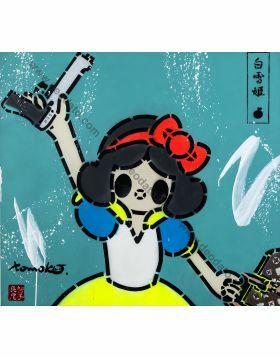 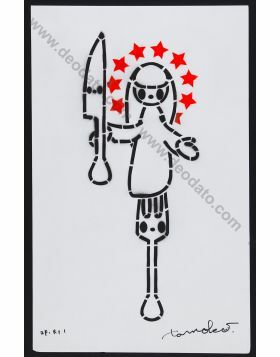 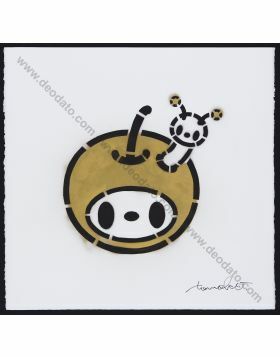 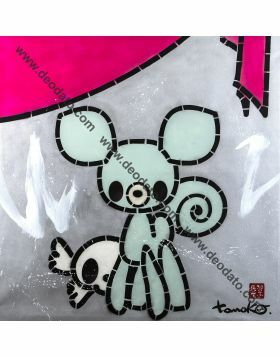 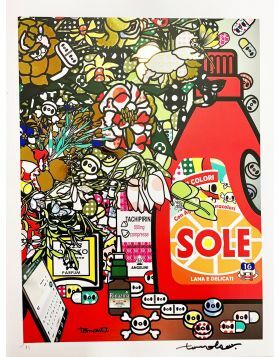 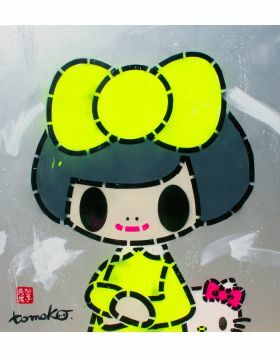 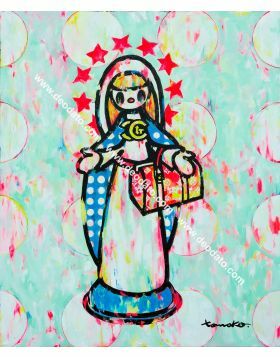 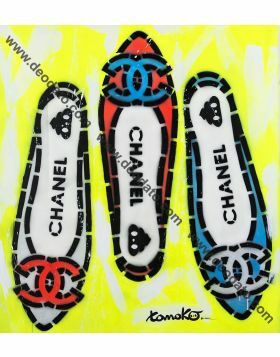 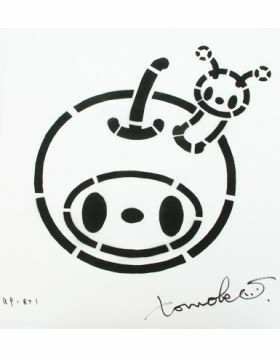 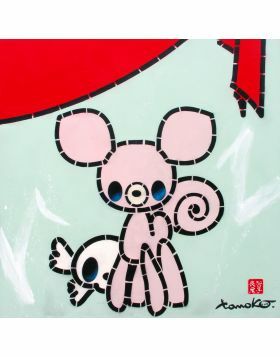 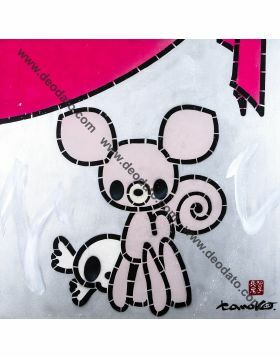 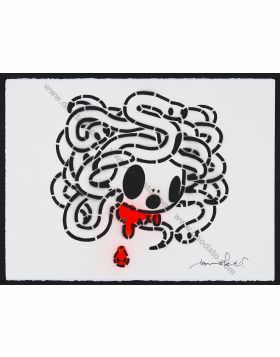 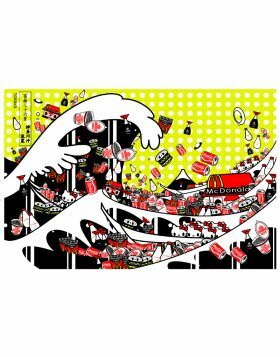 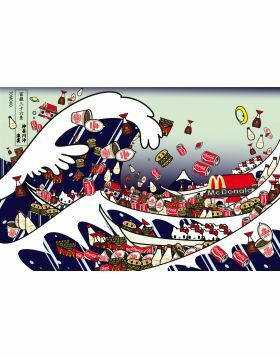 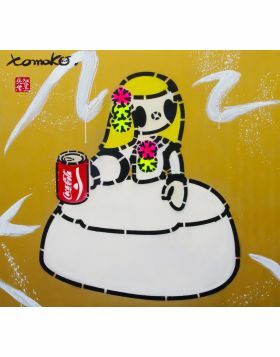 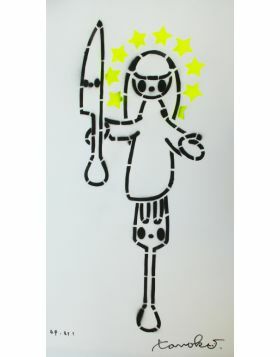 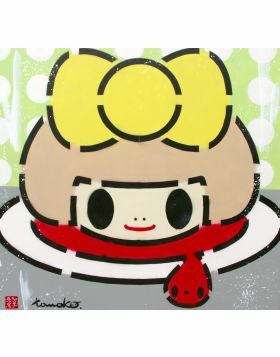 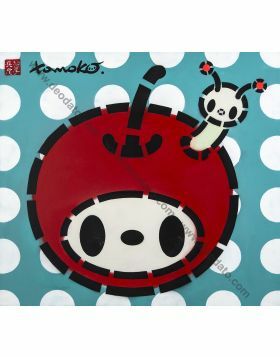 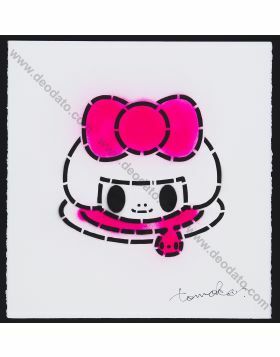 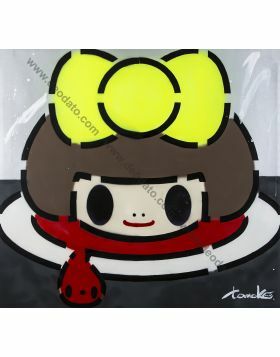 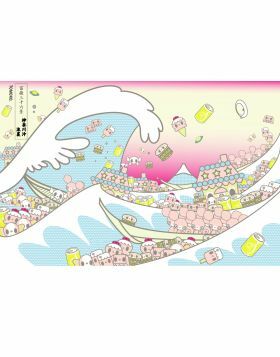 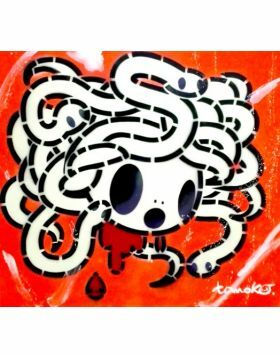 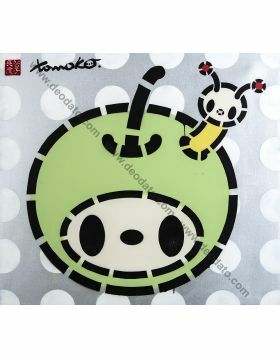 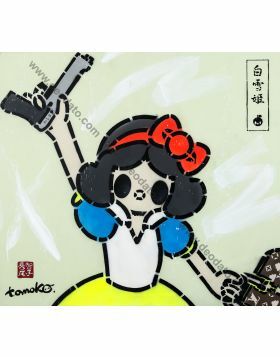 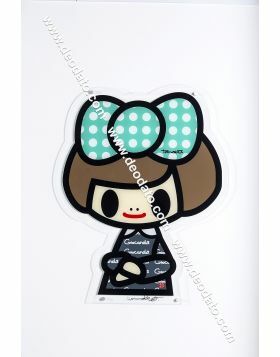 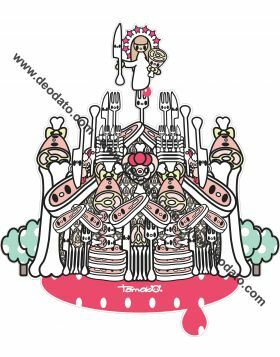 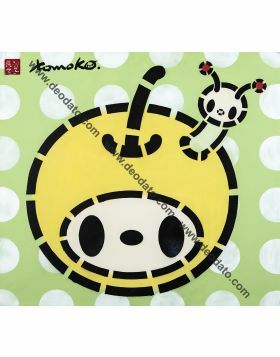 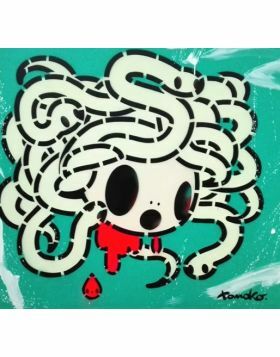 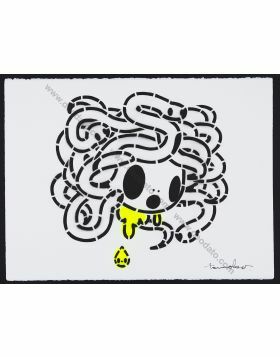 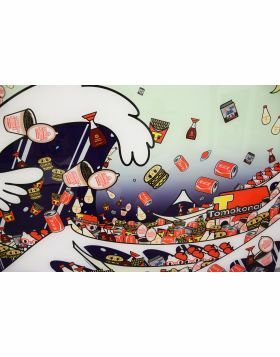 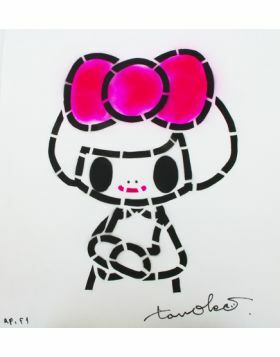 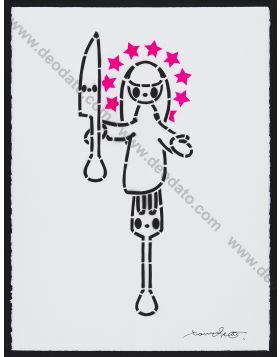 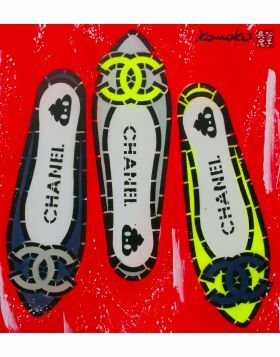 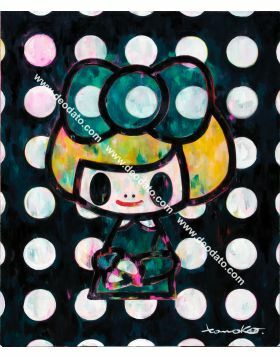 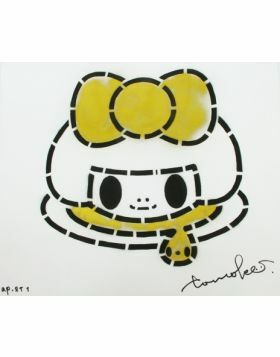 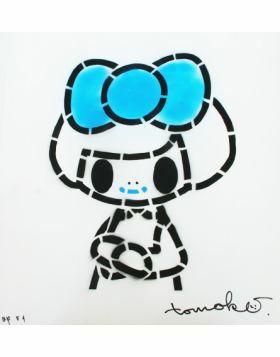 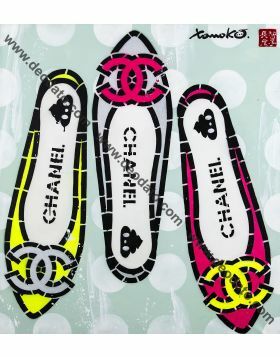 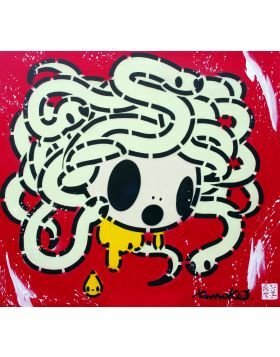 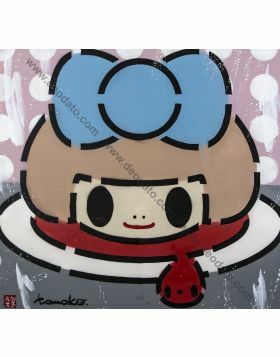 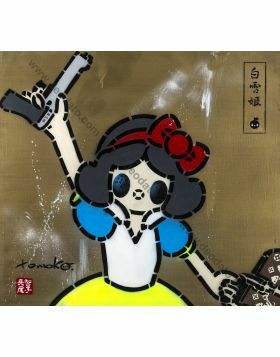 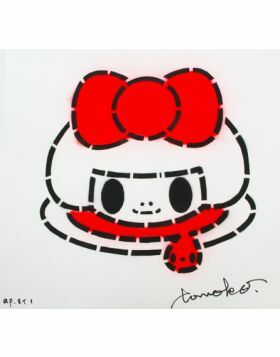 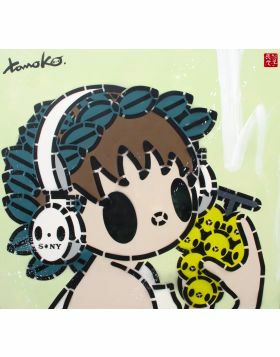 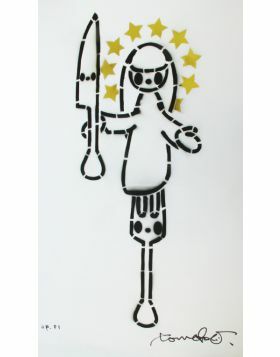 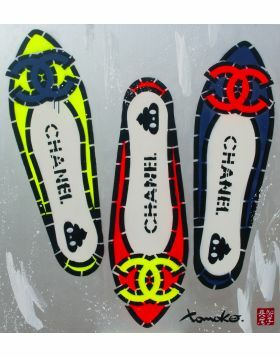 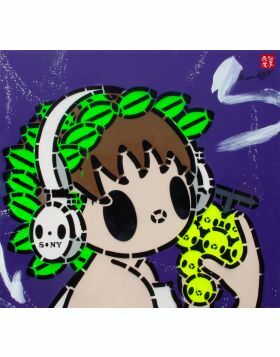 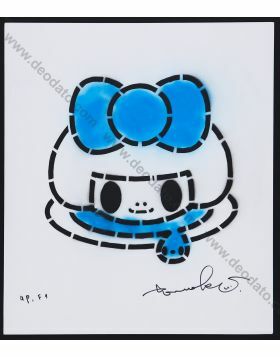 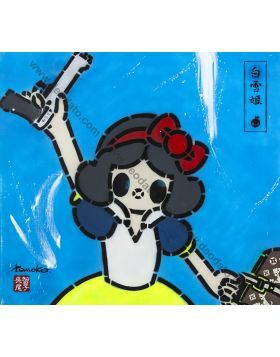 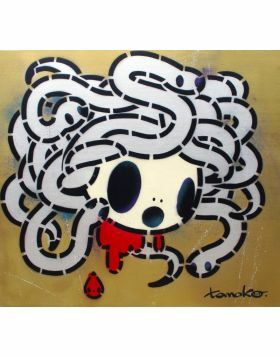 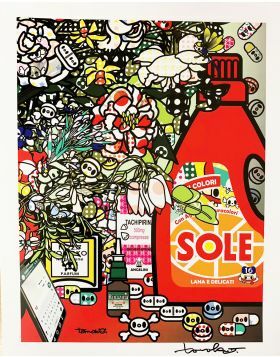 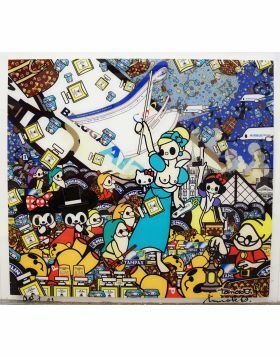 This work is a stencil on rice paper by Tomoko Nagao. 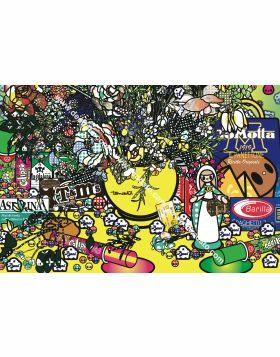 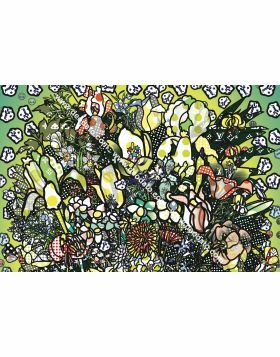 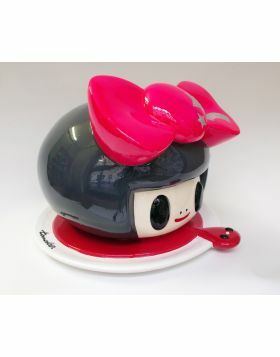 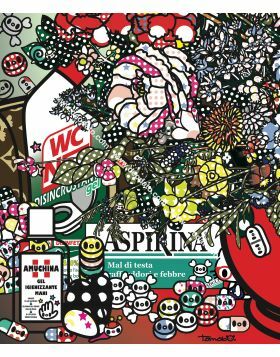 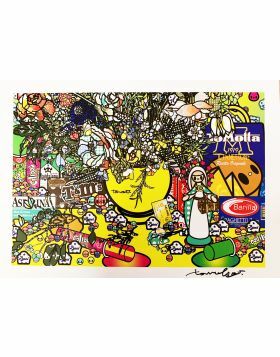 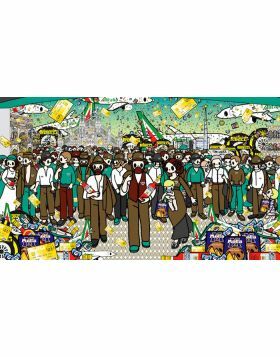 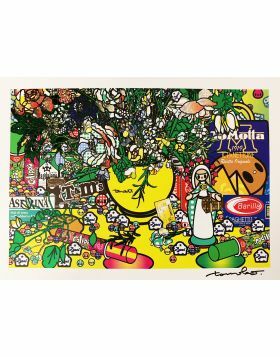 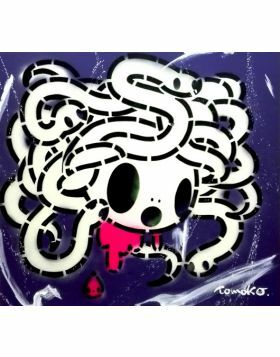 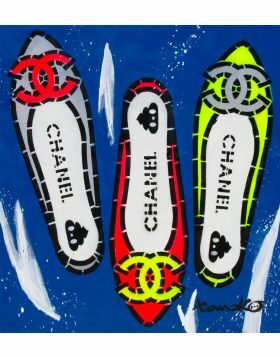 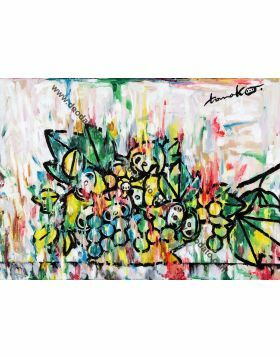 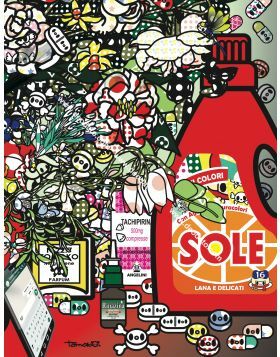 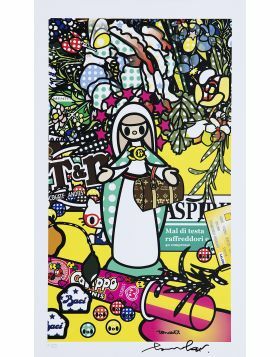 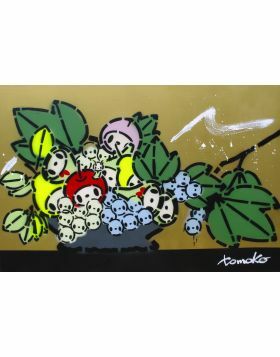 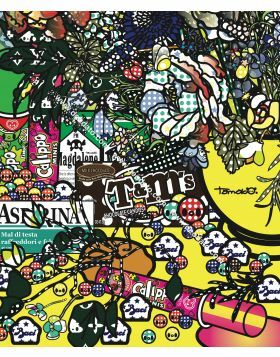 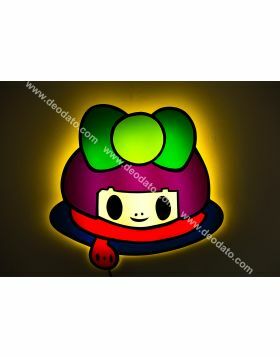 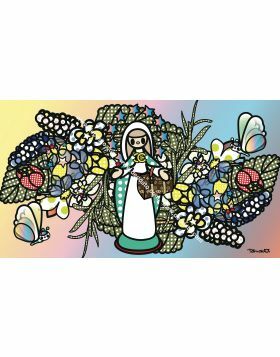 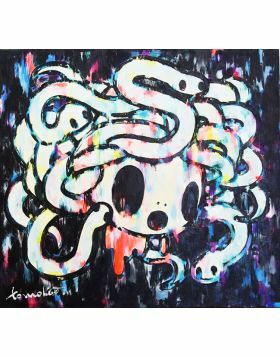 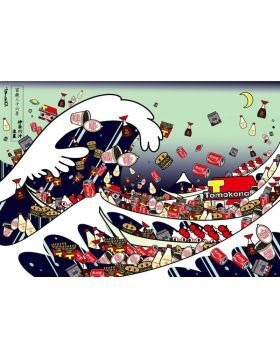 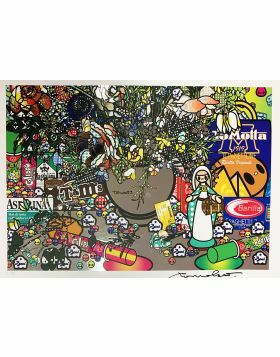 The subject of the work belongs to the iconography of the great italian artist Caravaggio: Tomoko Nagao proposes a zoom on a detail of the Canestra of Fruit. 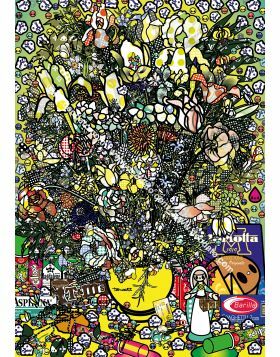 She assembles on the apple, that in the seventeenth-century composition is broken, and she adds a nice worm. 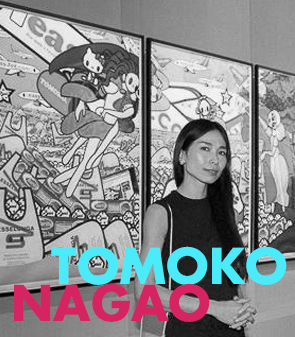 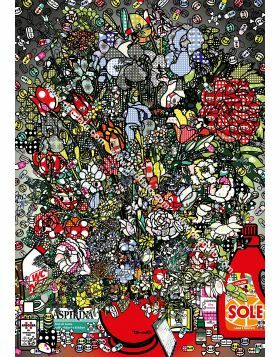 Tomoko is the most important esponent of MicroPop and SuperFlat in Italy, influenced by Nara Yoshimoto and by SuperFlat of Murakami Takashi. 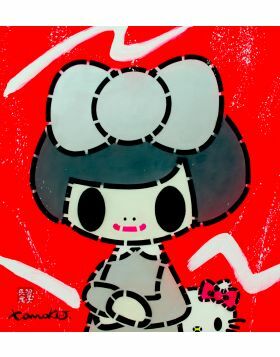 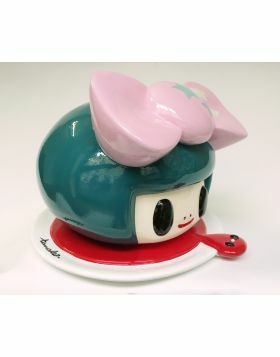 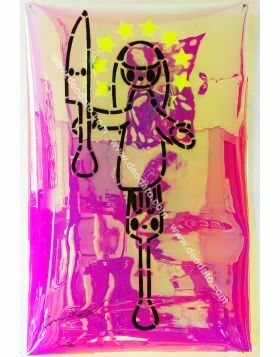 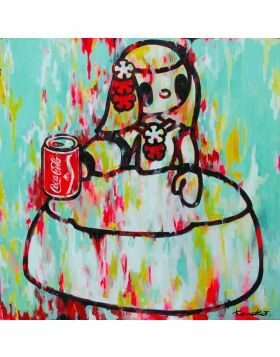 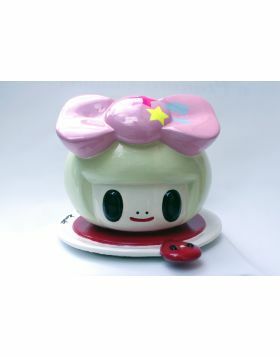 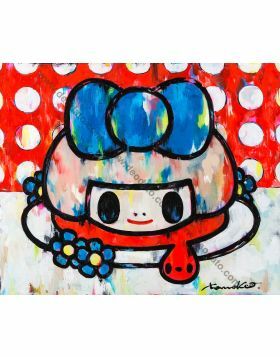 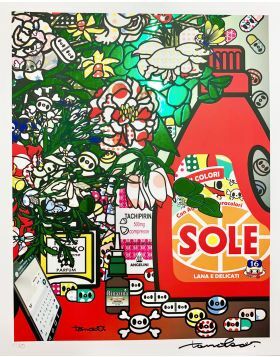 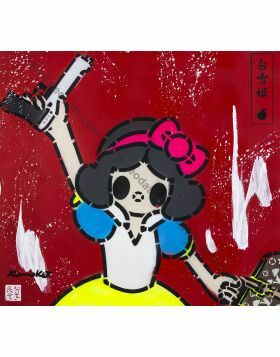 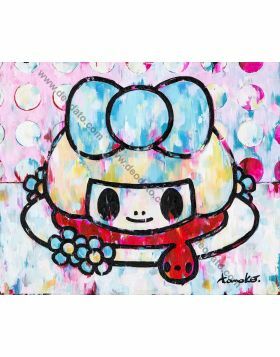 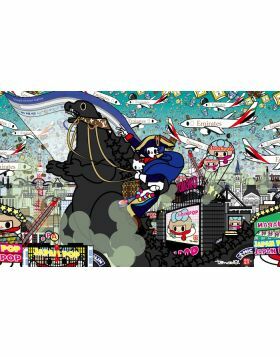 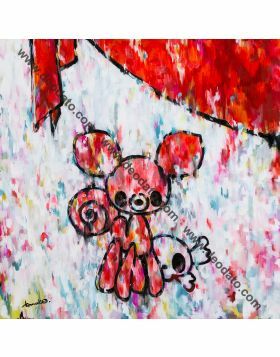 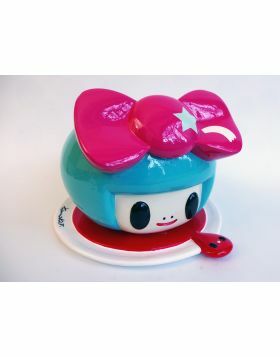 In this way her works become metaphors of globalisation period, making them more "easy" thanks to the Japanese aesthetic concept of "kawaii" that makes everything cool. 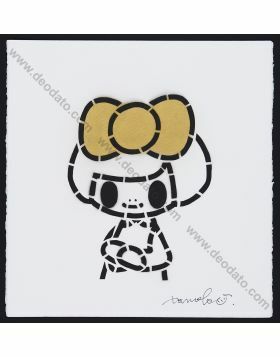 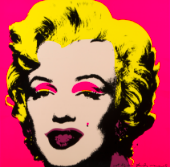 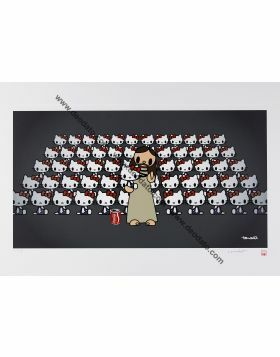 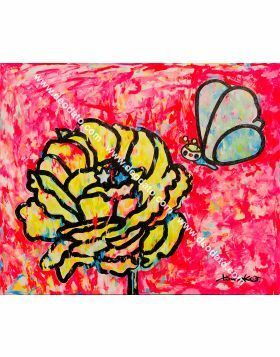 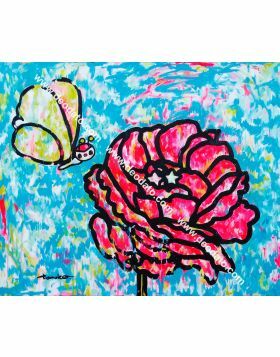 Stencil on paper, artist proof, signed and numbered in original by the artist.